Saturday morning arrived early this past weekend and at 5am I was loading up the truck with food, tools, supplies and my handy dandy Disc-It. Where was I heading? Camping? No. The wife is not much for “roughing it”. Instead we were on our way to participate in the 4th Annual Disc-It Round Up benefiting the UNM Children’s Hospital, which is part of the Children’s Miracle Network. Nevin Montano, the event organizer, and his family hold the hospital near and dear to their hearts because of the extraordinary care and support they received during a tragic time in their lives. They “give back” each year by putting on this amazing event, rounding up sponsors, gathering cooks, and hosting one of the most exceptional fundraisers you will ever attend. Last year was my first year participating in the Disc-It Round Up AND my first year competing in an actual cooking contest. 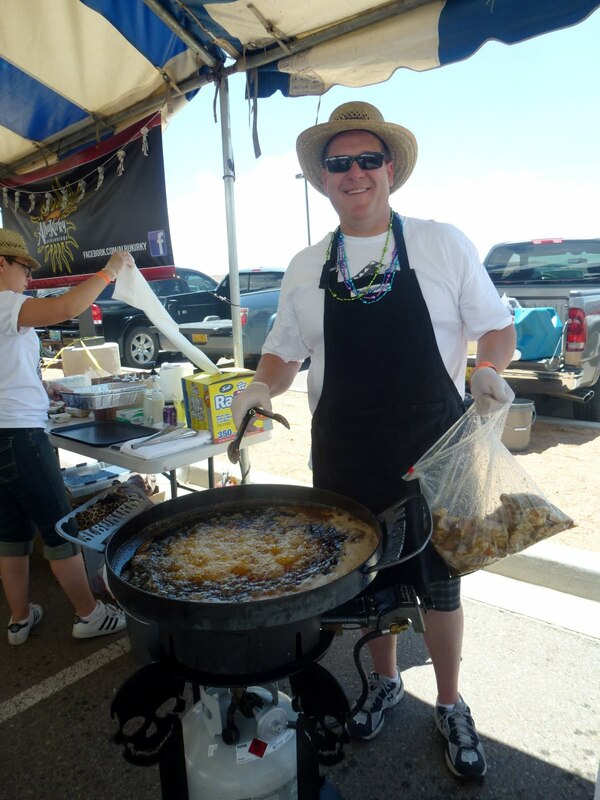 Cooking for the enormous hungry crowds proved to be challenging and a ton of work, but it was the most fun I’ve ever had, so I was really looking forward to this year’s festivities. There is a sense of camaraderie and purpose that makes this event really special. I disappeared for a bit when we first arrived, so that I could visit with the other cooks and meet many of the attendees. My wife accused me of running for Mayor of Disc-It-ville, but shaking hands and kissing babies is not my thing. Last year I cooked a Pecan Crusted Chicken Nugget and I ran out of chicken twice. This year, I vowed not to let that happened again. I guess-timate that I cooked over 700 chicken wings. My Disc-It was working overtime to keep up with the constant demand. I made two different wings, one with the BBQ Rub and a drizzling of BBQ Sauce and the other seasoned with the Green Chile Rub drizzled with Green Chile Crema Sauce. 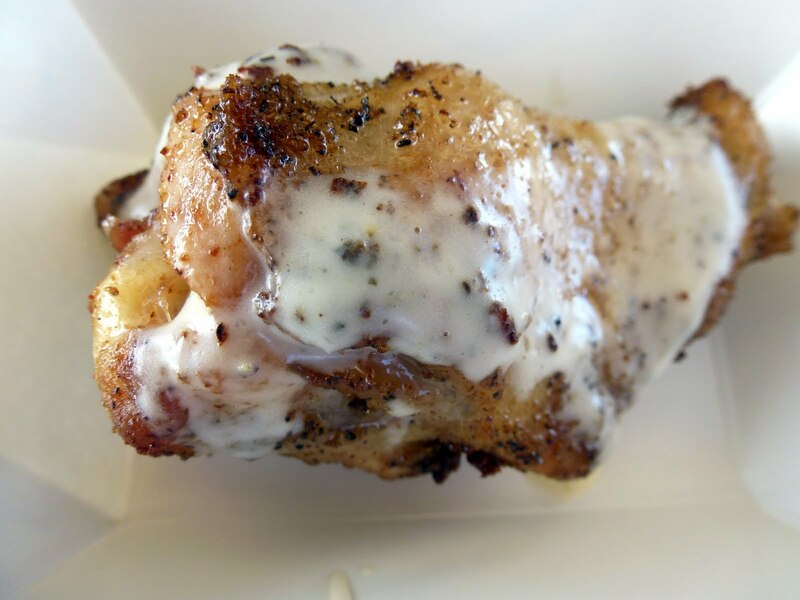 Chicken wings are always a big hit but the Green Chile Wing appeared to be the crowd favorite. 1 tablespoon of AlbuKirky Green Chile Rub. 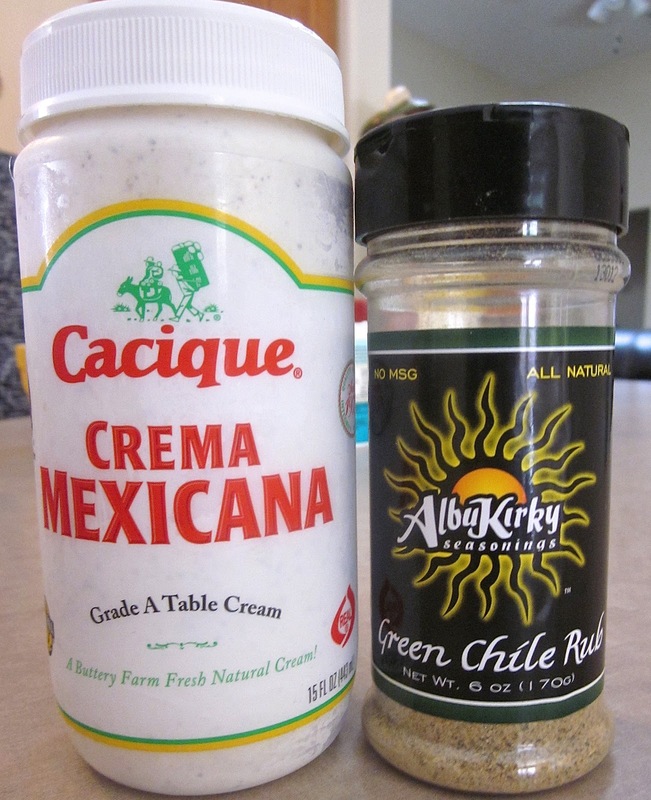 Mix Green Chile Rub into crema to taste. There’s nothing fancy about this recipe, no batter or breading, just great seasoning, fresh chicken and of course the magic of deep frying. Besides no batter can compare to the naturally delicious flavor of crispy chicken skin. 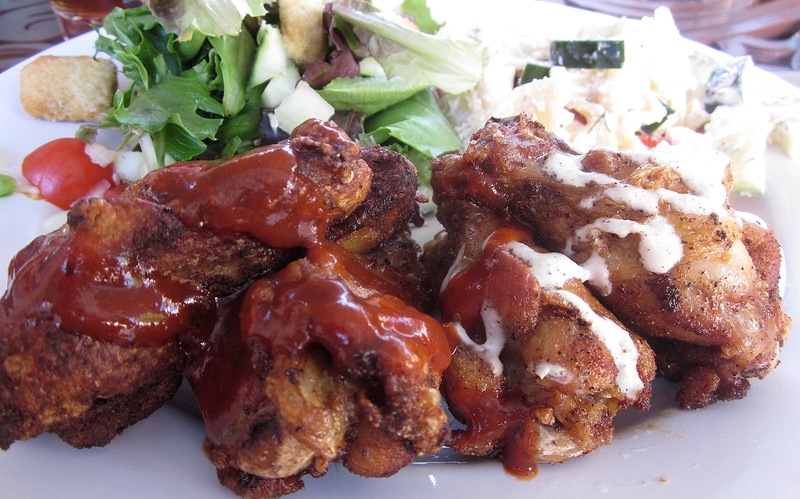 Both wings were amazing but the favorite was definitely the Green Chile Wings with the Crema Sauce. When your teeth bite through that seasoned crispy skin and you taste that sweet white meat your mouth will be flooded with perfect chicken flavor. This year the competition got a little more serious with the addition of judges. They weren’t hard to spot, they had big clipboards and were taking notes, and we made sure to give them the best of the batch. Teams were judged on booth decorations, best dish, unique dish and favorite Disc-It. 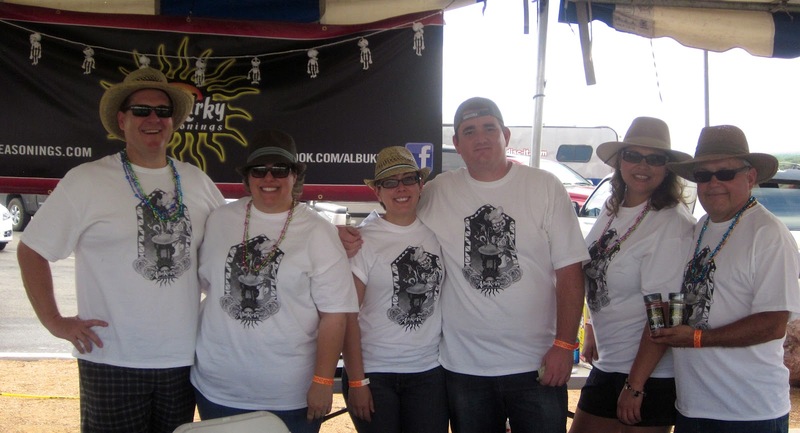 The team with the highest total of all categories wins a fully customized Disc-It. Our strategy must have paid off, because when the dust had settled and the votes were counted, Team AlbuKirky won 1stPlace!! So next year we will be defending our title cooking on Two Disc-Its!! It was great to win but the real winners are the kids of UNM Children’s Hospital. Medical care is expense and they need all the help they can get. I can hardly wait for next years Round Up. I’ve already come up with at least 5 new recipes to start working on. I haven't used my green rub in a while and I LOVE this idea except I'll cook the wings on my Egg. Looks like a great event for an even better cause! Wow. I'm with Chris. Can't wait to try this. Our local store carries the Cacique brand, and we have the Albukirky Green Chile seasoning on hand. I predict another wings winner. Thanks Kirk! The Crema Sauce is great, I've been using it on just about everything. I still think you guys both need a Disc-It! Congrats Kirk & the team!! Your wings were amazing.